Rio Paralympics 2016 silver medallist in short put, Deepa Malik was named as the recipient of the New Zealand Prime Minister’s Sir Edmund Hillary Fellowship for 2019 in recognition of her inspiring achievements. The Fellowship Program is running since 2008 aims to strengthen the relationship between India and New Zealand. Sir Edmund Hillary served as New Zealand’s High Commissioner to India and Bangladesh and concurrently as Ambassador to Nepal from 1985 to 1988. 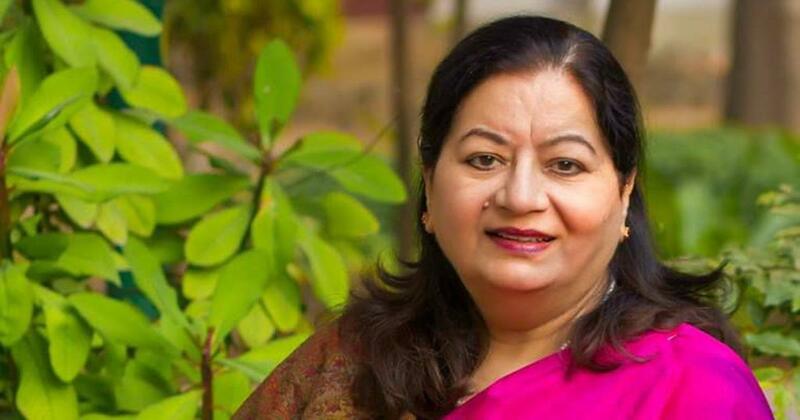 The Ministry of Human Resources and Development appointed Professor Najma Akhtar as first woman vice–chancellor of Jamia Millia Islamia University (JMI) for a period of five years. Founded on October 29, 1920, JMI is a public central University in New Delhi. Manipur Governor Najma Heptulla is the chancellor of the varsity. Dr.Zakir Hussain was the first Vice-Chancellor of JMI. The State of World Population 2019 report has been released by The United Nations Population Fund which states that India’s population grew at an average annual rate of 1.2 per cent between 2010 and 2019 to 1.36 billion. It was more than double the annual growth rate of China. China’s population stood at 1.42 billion in 2019 with an average annual growth rate of 0.5 per cent between 2010 and 2019. The schemes of the West Bengal government ‘Utkarsh Bangla’ (skill training of youth) and ‘Sabooj Sathi’ (cycles for students) won the World Summit on the Information Society (WSIS) awards of UN. The Sabooj Sathi scheme was launched in September 2015. Utkarsh Bangla Scheme which is aimed at providing vocational training to school dropouts got the topmost award and emerged as a winner in the Capacity Building category. The International Day of Human Space Flight was observed across the world on April 12, 2019 to commemorate the anniversary of the first ever human space flight Vostok 1 undertaken by Yuri Gagarin, a Soviet Union citizen on April 12, 1961. He made one orbit around the Earth in over 108 minutes in the Vostok 3KA spacecraft launched by Vostok-K launch vehicle. The United Nations General Assembly (UNGA) through its resolution on April 7, 2011 proclaimed the day. Russia on April 12, 2019 honoured Indian Prime Minister Narendra Modi with the Order of St Andrew the Apostle, the highest and the oldest order of the Russian Federation, for promoting partnership and friendly relations between the two countries. It was established as the first and highest order of chivalry of the Russian Empire in 1698 but was abolished under the USSR in 1918 before being reinstated as the top Russian order in 1998. In 2017, Chinese president Xi Jinping was awarded the Order of St Andrew the Apostle. Justice Vikram Nath, the senior most judge of Allahabad High Court, was appointed on April 10, 2019 as the first Chief Justice of the newly-constituted Andhra Pradesh High Court. The new Andhra Pradesh High court was established on January 1, 2019 following the division of a combined high court of Telangana and Andhra Pradesh. Justice Nath obtained a law degree in 1986 and enrolled as a practising lawyer in Allahabad. In 2004, he was appointed as additional judge of Allahabad High court and was elevated to the post of a permanent judge in 2006.